Portuguese architect, Miguel Marcelino has renovated an apartment in Odivelas in the Lisbon metropolitan area. Converting a garage into a great-looking, comfortable home. 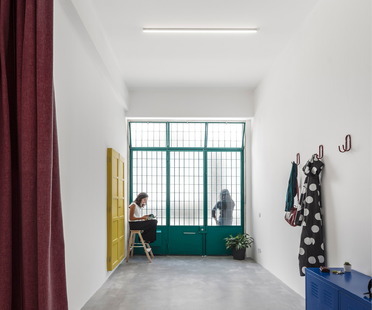 Portuguese architecture firm Arriba is behind the refurbishment of an apartment in the Lisbon district of Ajuda.